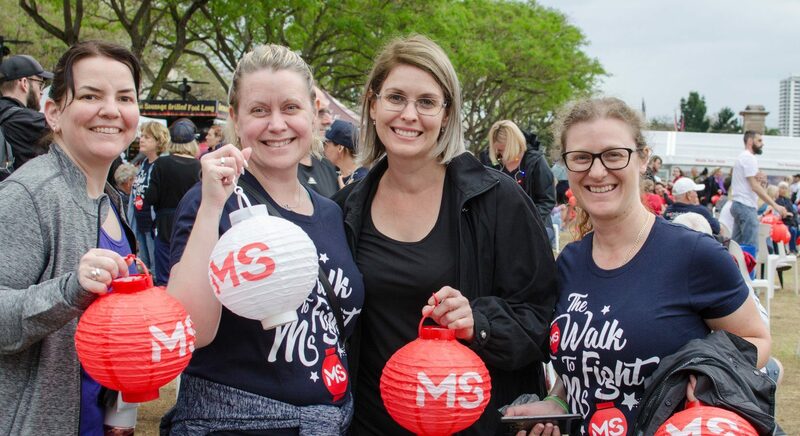 For more than 20 years, the MS Moonlight Walk has lit up the Brisbane River in a show of support to Queenslanders living with MS.
An event not to be missed, the MS Moonlight Walk is an opportunity to get active and celebrate our great city like never before. Choose between a leisurely 5km or 10km walk taking in the sights of the Brisbane River. As the sun sets and the moon rises, each walker receives their very own lantern to illuminate our belief that no one should face MS alone. Each walker is encouraged to fundraise as individuals or with their friends and family and have the biggest impact possible for those living with MS.
Walkers come dressed in an array of costumes – with tutus, tiaras, bold colours, lycra and more! It is a spectacular sight to see. There is delicious food available and some incredible live entertainment. It’s a great family event. Join the MS Moonlight Walk today to help ensure no Queenslander has to face MS alone. *Free entry for people living with MS.